Warm, dry feet for everyday winter wear. Jack Wolfskin's waterproof Men's Thunder Bay Texapore High Boot will keep your feet warm at temperatures down to around -20°C thanks to Jack Wolfskin's new Nanuk fleece lining. Jack Wolfskin's Texapore membrane provides reliable waterproofing and breathability. And the suede leather and breathable fabric upper provides extra ankle support. 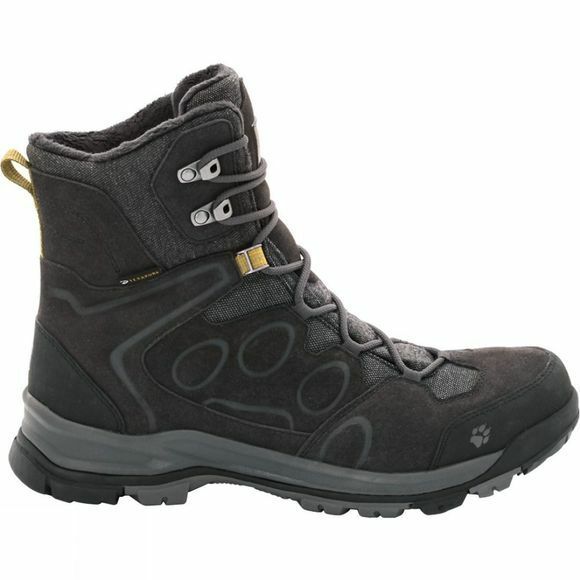 The sturdy, anti-slip Wolf Snow hiking sole offers good grip in winter conditions. The boot gives you good support and is ideal for winter walks.